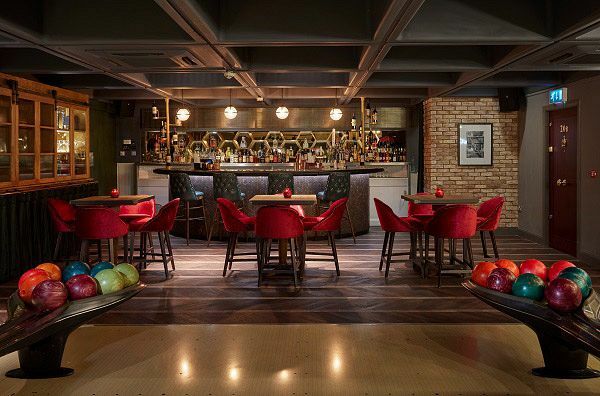 This Christmas in London, ditch the usual turkey dinner and disco and opt for something a bit different with this exclusive bowling package for an epic festive celebration like no other. 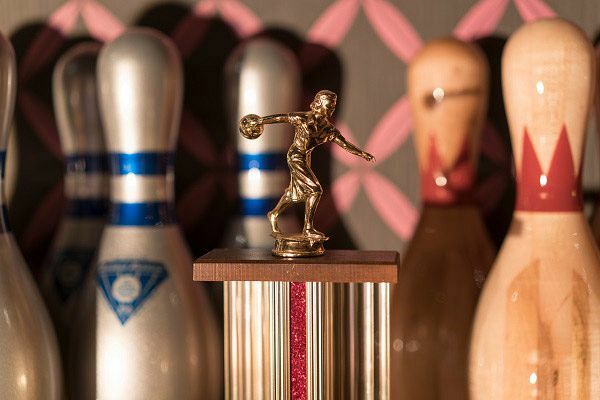 Taking a luxurious spin on traditional bowling, this stylish venue has been kitted out with Retro-American theming and boasts a mouth-watering selection of delicious food and fine cocktails that will be sure to tantalise your taste buds! 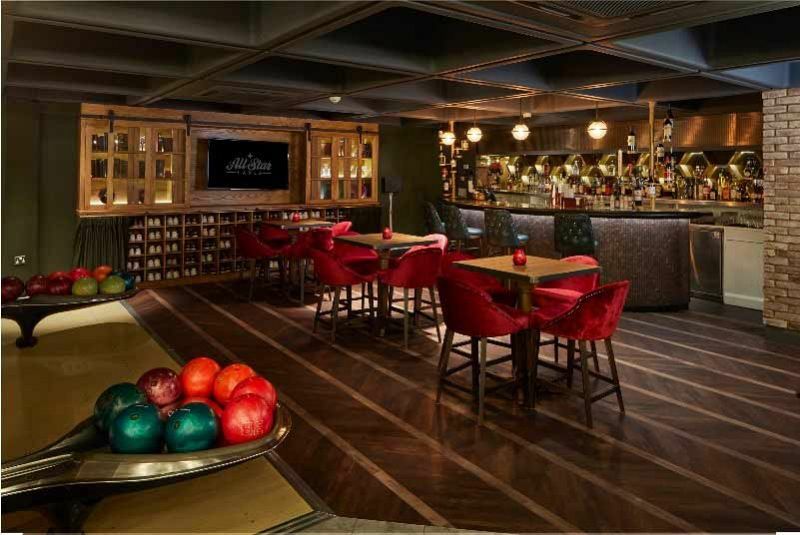 Perhaps what’s best of all about a Christmas celebration here, is the fact that you and your team will be able to enjoy exclusive hire of the venue’s stylish Penthouse – a private room which features three lanes and offers guest unlimited bowling throughout their evening, which is strictly for your group! You’ll also have access to your very own private bar that comes complete with a dedicated mixologist who will be hand to create refreshing cocktails in front of your very eyes. With all that bowling though, you and your team are going to need some fuel, so that’s where the festive bites packages come in! There’s a cracking Christmas themed selection of food on offer here with something for everyone. Choose from a choice of nine party bites from the menu. Extra party bites can be included for an additional cost. This Christmas package is the perfect way to round off the end of a long working year and will have your team relaxing and having fun the minute they step inside. Please note that prices will be provided on application, as cost per person depends on group size, the time of day/evening your event takes place and the choice of food and drink. 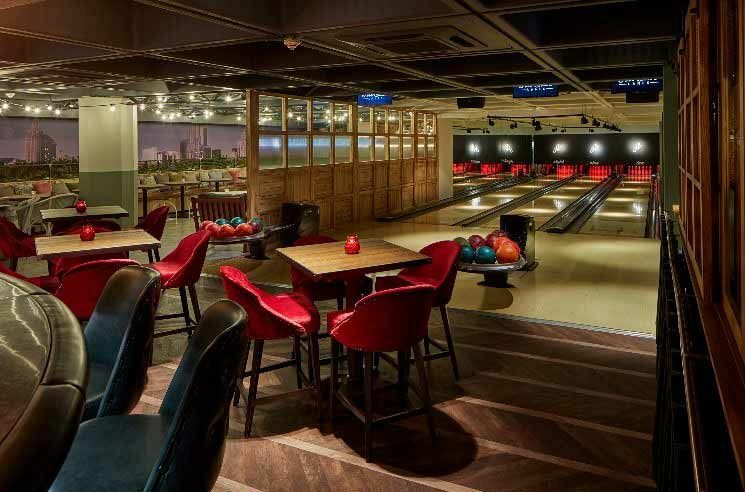 Book your exclusive bowling celebration at this top venue in Brick Lane today and get competitive with your colleagues!